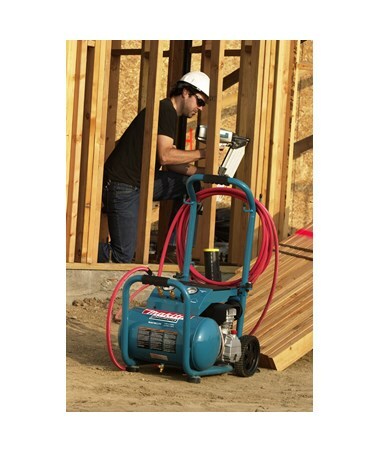 Makita's MAC5200 with its powerful 3.0 HP motor produces 6.5 CFM at 90 PSI for increased productivity . Its cast iron pump with big bore cylinder and piston is engineered to provide faster recovery time for improved performance. 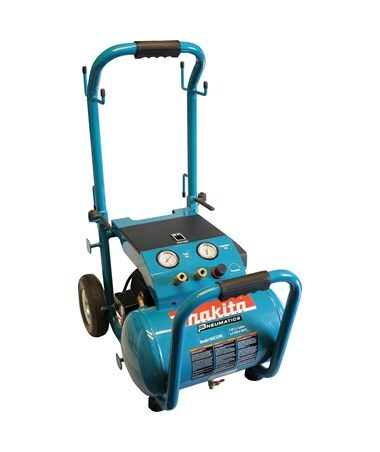 The durable cast iron cylinder reduces wear and increases pump life and the pump is oil-lubricated for cooler running temperatures and reduced wear. 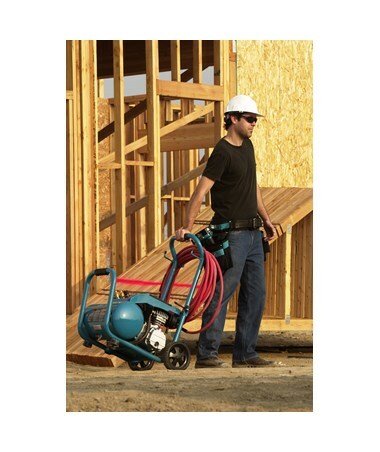 Plus, the folding handle with low profile design allows for easy storage with handle folded and the rugged wheels are for jobsite portability. There is an air hose wrap which stores 50 ft. of 3/8" air hose with handle folded or upright and the tool hangers store tools when not in use. 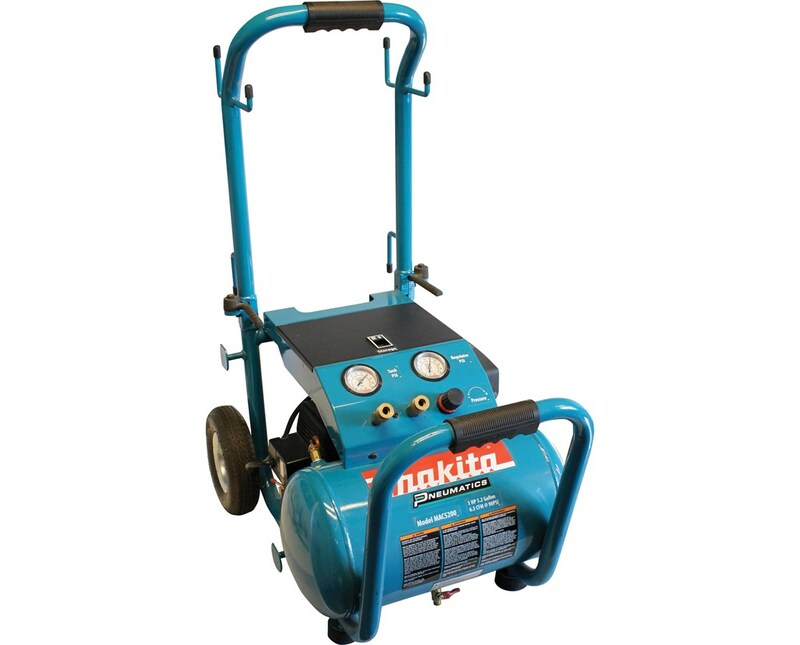 With its roll-cage construction, large automotive style industrial air filter, built-in storage compartment and built-in thermal overload this Makita MAC5200 Air Compressor is the best in its class!